There are still some die hard anglers down at the south arm. These are mostly my friends and guides who don’t river fish for salmon or sturgeon fish on the Fraser, so they will keep at it out in the salt until the bitter end. The fishing has actually been pretty decent if you are willing to run down to the S. Arm of the Fraser. 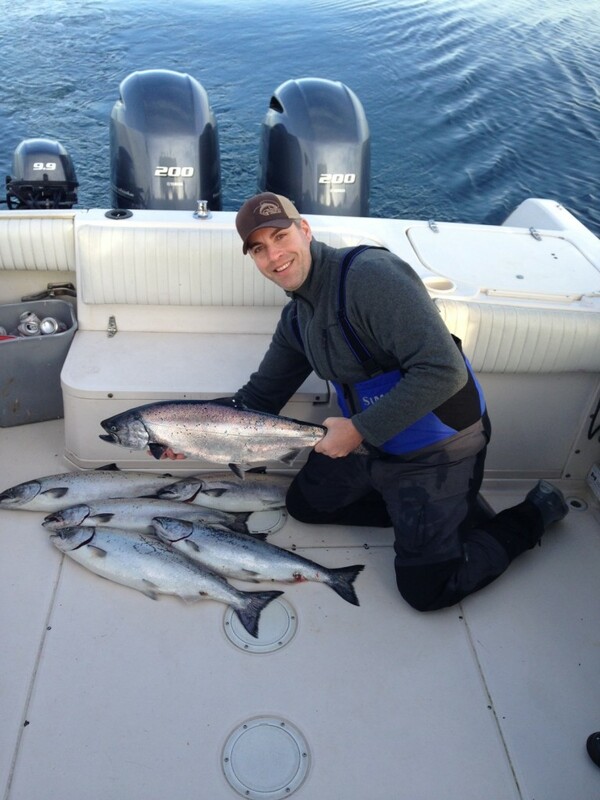 The coho are around and there have been some good numbers of wild fish caught as well some hatchery fish. Remember you can only keep hatchery coho. There have been some chum in the mix as well. Hot depths have been from 30-60 on the riggers and bait has been the top producer with spoons and white hootchies taking some fish as well. While I haven’t had the chance to get to the S. Arm this past week I’m looking forward to winter chinook season which will be here before we know it! 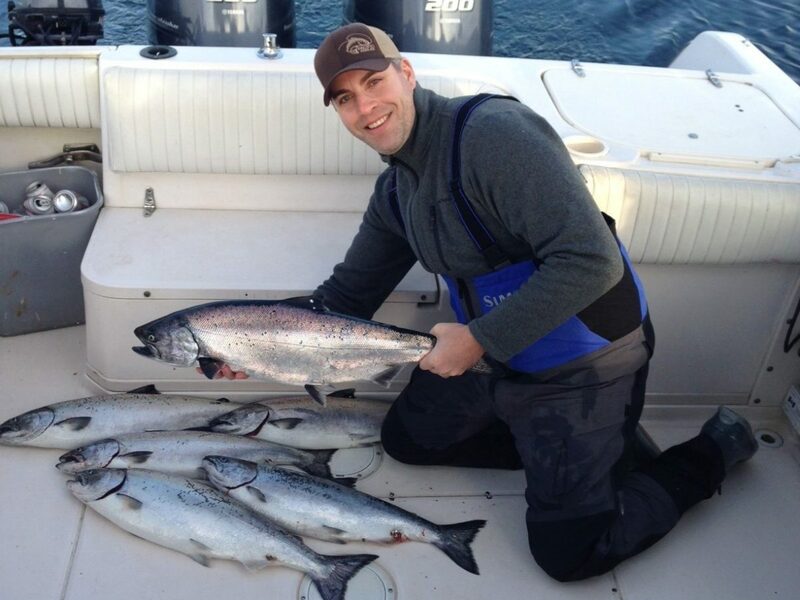 Some nice winter chinook from early last January.